It’s been an age since I’ve had favourites to share. 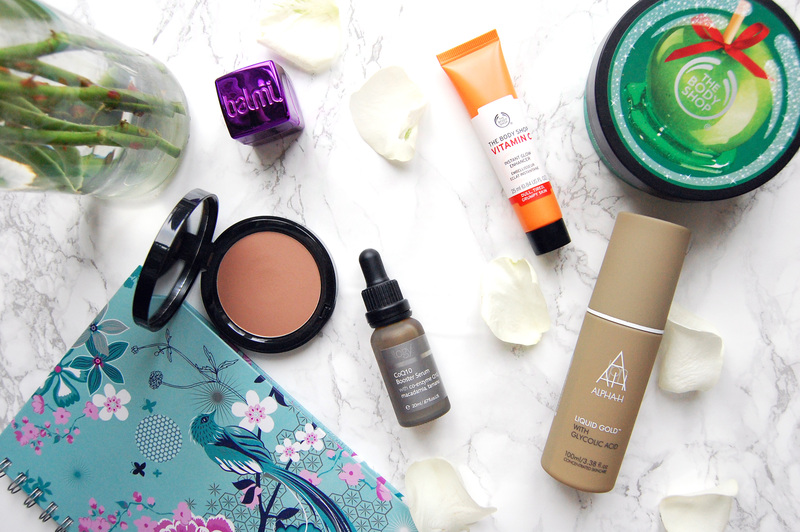 Although this isn’t a standard end of month favourites, and more so a glimpse at the products I’ve used consistently for the last few months. Maybe a bit too much, even! Like clockwork when the chill sets in, I reach for my Bobbi Brown Bronzing Powder. Maybe because I feel somewhat washed out, or maybe it’s a comfort thing. But either way, I suppose I’ve got another two months with this baby before I drift off to something new, so I’m making the most of it! Balmi is my favourite lip balm brand, and I think this here is blackcurrant scented. I’m so happy Balmi finally worked out the kinks with packaging, because I can just throw this into the vortex that is my bag every day and it still hasn’t broken, months later. I’ve just used up my Body Shop Glazed Apple Body Butter and I’m so sad to see it go! 2016’s Spiced Apple scent was horrid, and I didn’t pick up much in the post-Christmas sale for the first time, but I’m somewhat over fruity scents right now. To combat the dreaded January dullness, I rather enjoy using the Body Shop’s Vitamin C Instant Glow Enhancer. It gives me that glow on the right side of dewy, and as an oily skinned girl, that’s something special! When I went away in November, Trilogy’s Age-Proof CoQ10 Booster Oil was the only night-time skin care product I took with me, and I’ll have more to say about it soon! I just love oils, but this one has a special place on my top shelf at the moment. I've recently picked up the Alpha-H liquid gold. I'm using it every other night so about 3 times a week. I am excited to start seeing some changes in my skin, hopefully it does make a difference. Bodyshop products are amazing, really liking them at the moment too.